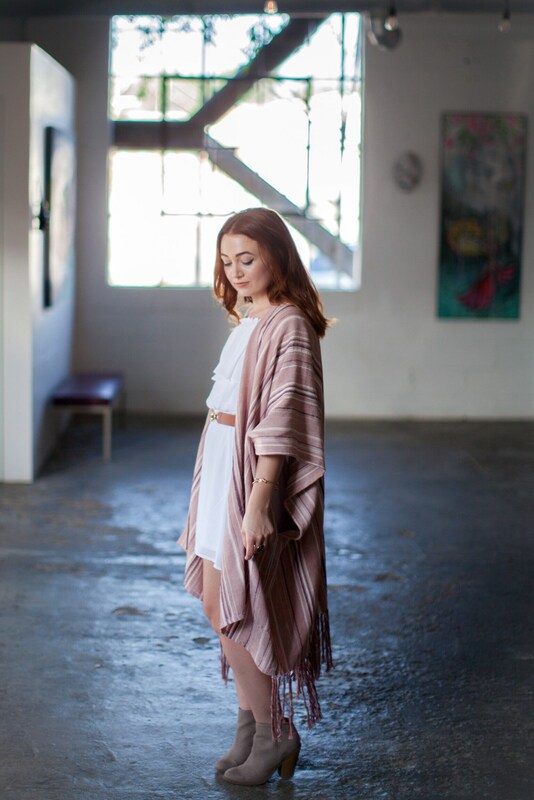 This handwoven kimono is made of cotton, baby alpaca and silk. 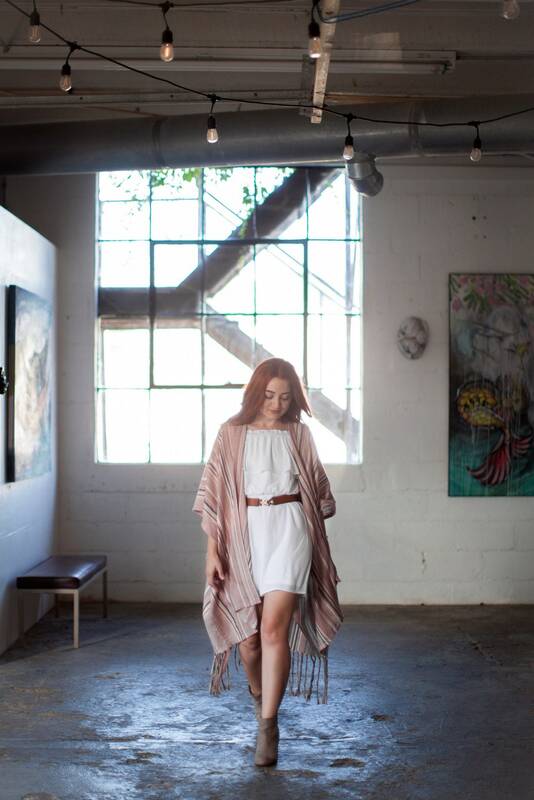 You can wear the kimono open over an outfit or make it into a dress by using a belt. 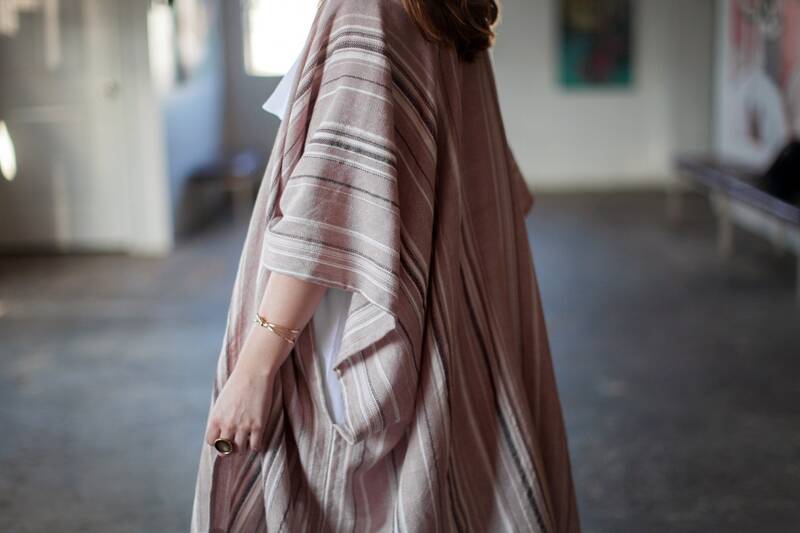 This fabric not only took 40 hours to weave but took several hours to drape the kimono to perfection. I left the fringe in the back from where I originally tied my warp onto the loom to weave my fabric. 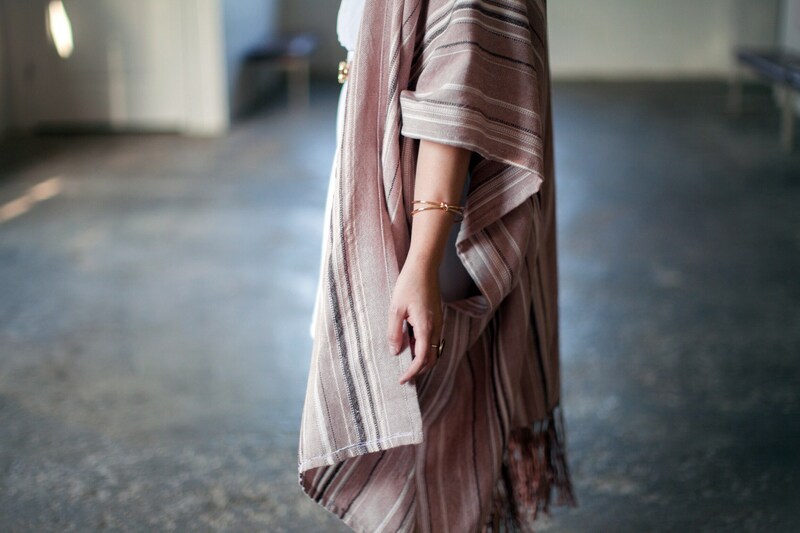 This kimono can fit many sizes! From small-large.